Next Tuesday, Motorola is going to show off new products to us at an event in New York. Some of us think we’ll only get a new Moto G (3rd gen), while others are hopeful that a new Moto X (3rd gen) will join the party as well. 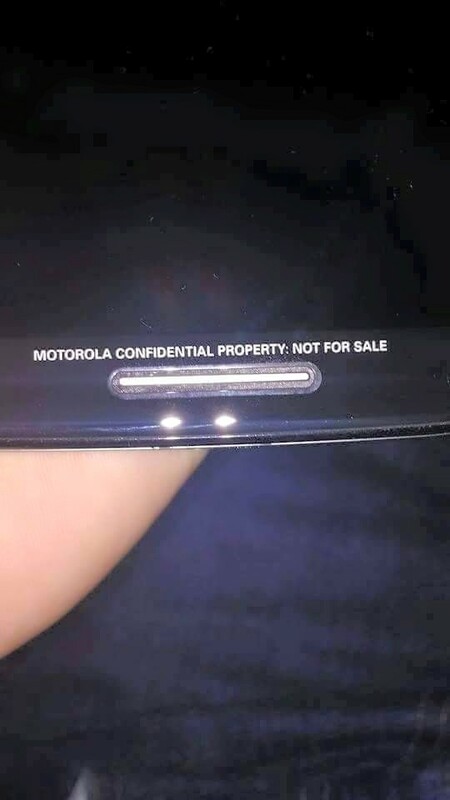 For those on the new Moto X wagon, we present to you the photo below, which is purportedly of the front of the device, fitted with all the marks necessary to get someone fired. Is it the real deal? I don’t know, but I kind of hope so. 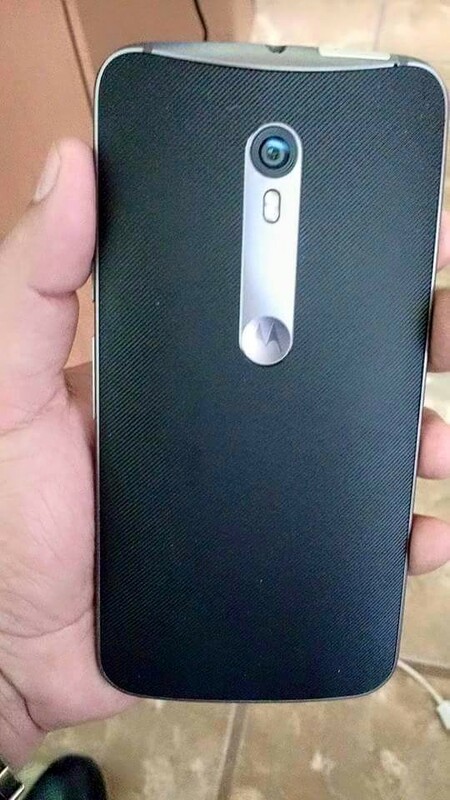 The photo comes courtesy of a guy on G+ named Paul Faz, who included accompanying text of “Moto X 3rd generation front flash.” That does appear to be a flash in the top right corner, and yes, early rumors for the new Moto X did suggest that it may have a front-facing flash. 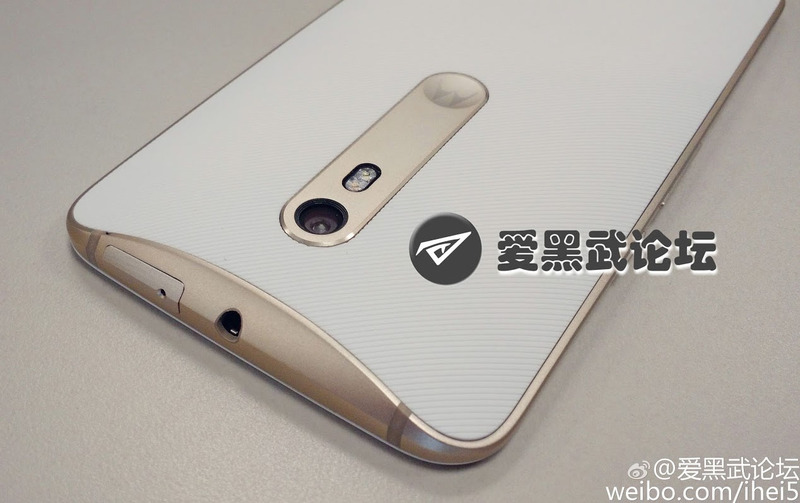 Other than that, we are seeing a similar shape to the past couple of Moto X phones, though hopefully the front speakers are actually stereo this time around. 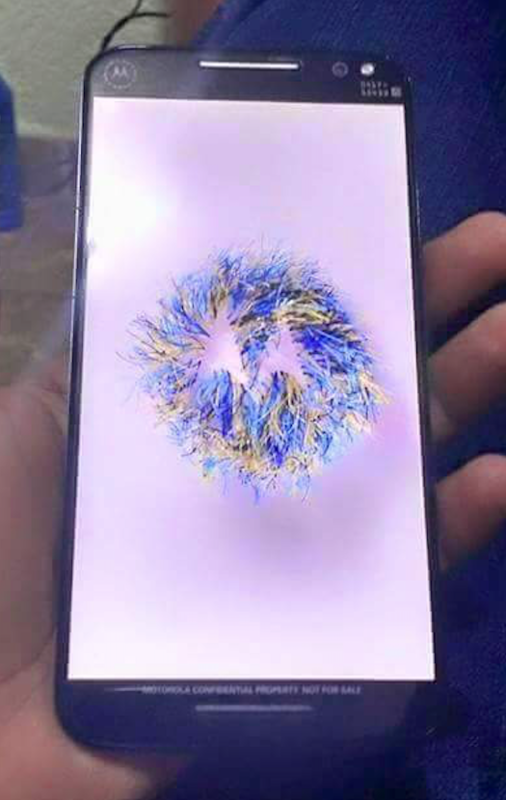 There is little bezel, a familiar boot animation, and what is more than likely some shine off of a metal frame. You tell me – does this look like what could be the front of this phone or any of these phones? Update: And would you look at that, more pictures! 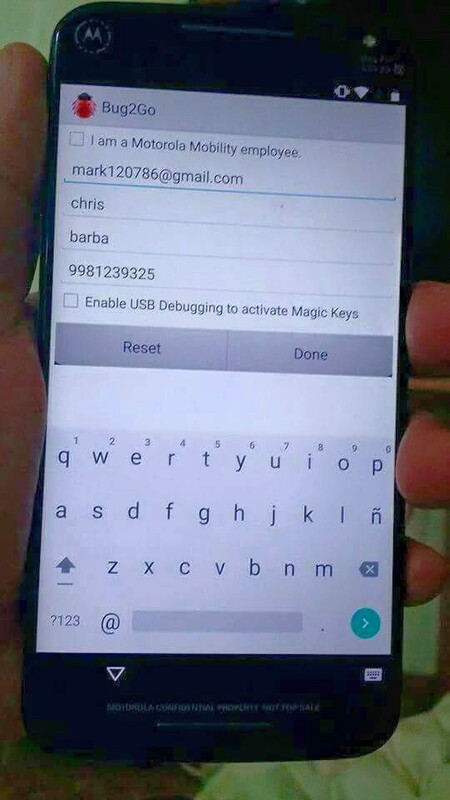 This time courtesy of this Peru Android Facebook page. According to this page, Motorola may have included a fingerprint sensor in the bottom speaker (would require a swipe), though I have my serious doubts about that being possible. We are seeing that front flash again too! Update 2: And another, now in white and gold.